Mobile healthcare solutions that transform the patient bedside experience. Increase patient satisfaction with mobile healthcare solutions. An iPad away from better care. The healthcare landscape is changing. Providers are looking for ways to deliver faster, more personalized care to their patients while improving communications within their care teams. Patients want more control and a better overall experience. Imagine a world that allows patients to see their medical records, close the blinds and call a nurse – all from an iPad paired with an Apple TV. It’s a new world, and it’s possible. See what’s possible in healthcare with Jamf. Inherently intuitive and packed with power, Apple devices are changing lives in healthcare. With Apple devices at the center of the patient experience, healthcare providers can engage, educate and entertain patients, transforming the patient bedside experience as we know it today. To interact with their caregivers via an iPad. Read details about their care plans on an iPad or Apple TV. Control their room environment from either an iPad or Apple TV. And, use apps for entertainment and patient care. Better healthcare is here and no one is more excited to help you improve your patient experience than us. Mobile healthcare solutions that make managing bedside technology easy. Jamf integrates with Apple Business Manager and Apple School Manager so you can automatically enroll and configure new iPad devices or setup Apple TVs remotely. Get hundreds of devices configured, managed and deployed in minutes. Are you worried about how you are going to wipe and enroll the devices in between the discharge of one patient and the admittance of another? No problem. Jamf Pro has a unique Healthcare Listener built into its workflow. Listening for an HL7 command, Jamf Pro automatically triggers a remote action to digitally sterilize a patient bedside device after patient discharge. No room visit from IT required! Ongoing management of all your devices is a breeze with configuration profiles, policies and smart targeting. With the ability to automate these tasks remotely, you stay current, in compliance and secure… always. Jamf Pro allows you to set security policies and monitor the health of your environment. Generate reports to demonstrate compliance with security standards (such as HIPAA) — an ability that helps mitigate regulatory compliance risks while streamlining audits. 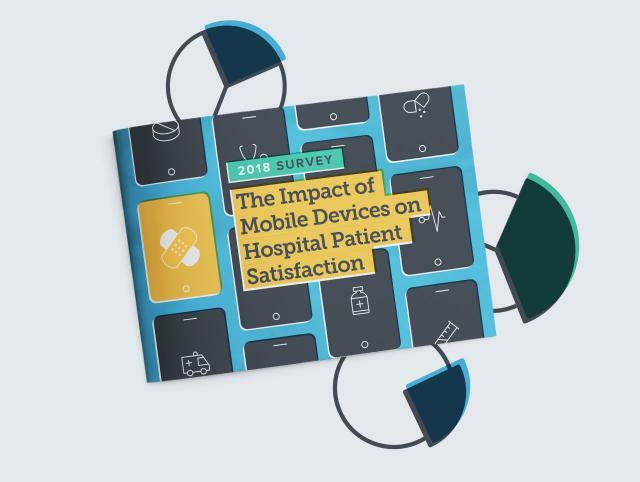 The impact of mobile devices on patient satisfaction. According to new global research conducted by an independent agency, there is a direct correlation between smartphone use in healthcare organizations and patient satisfaction. Patient bedside is just the tip of the iceberg. The use cases for mobile technology in healthcare are endless. Enhance the ability to deliver efficient, high-quality care through the secure iOS platform and Jamf Pro. With a wealth of healthcare and communication apps for iOS, Jamf Pro goes beyond patient bedside to help you wirelessly deploy pre-configured apps with the appropriate settings and security standards and create methods for seamless clinical communication between care teams. Making a difference at UCSD. Opened in November 2016, UC San Diego (UCSD) Health's Jacobs Medical Center became the first hospital to equip all 245 of its patient rooms with an iPad and Apple TV. Watch this video to hear Marc Sylwestrzak, IS Experience and Development Director of UCSD, discuss how they use Jamf’s healthcare solution to automate their iOS deployment, saving 1,400 hours and over $65,000 annually that can now be put toward other patient initiatives. Take a peek under the hood and see how Jamf Pro helps you deliver a better Apple experience. Learn how to engage patients in new ways and positively impact HCAHPS scores. Watch how iPad and Jamf make it easier to stay connected during hospital visits. Learn how Seattle Children's uses iPad to create the best patient experience for children and parents. Learn how Emma Children's Hospital is using Apple technology to modernize patient engagement.